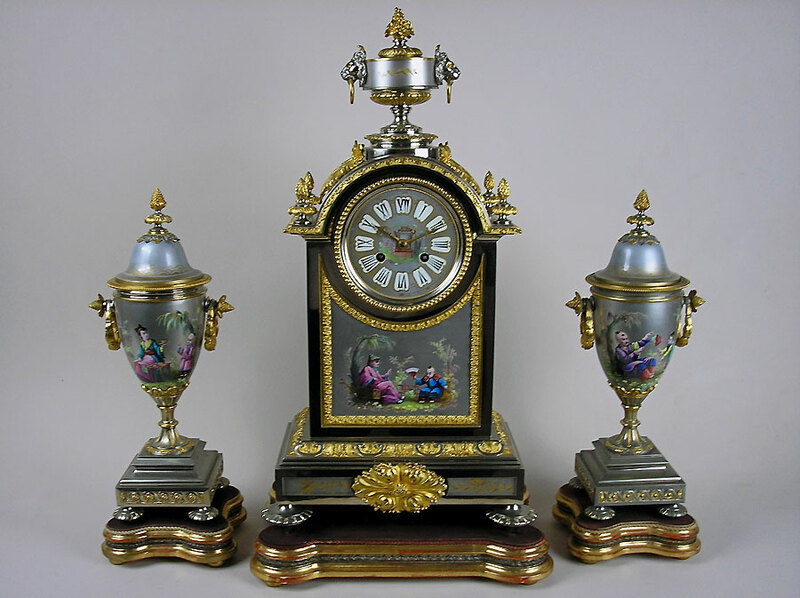 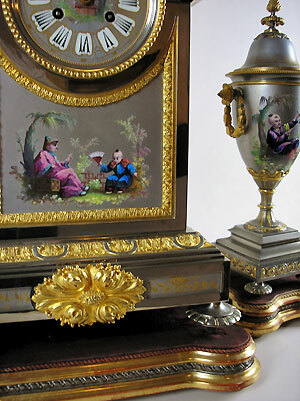 This is a silvered and gilt bronze garniture clock set fully mounted with signed Sevres panels that are hand-painted with Japanese motifs. The clock and side pieces (urns) have flambeau finials with toupie feet standing on giltwood pedestals. 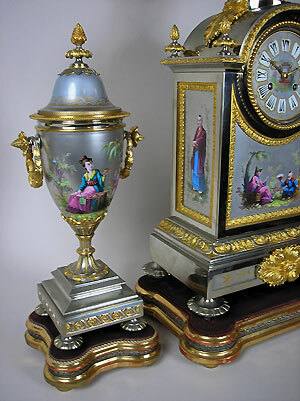 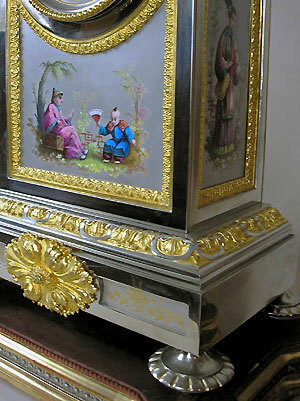 It has an eight-day gong striking movement by Richard et Cie of Paris.